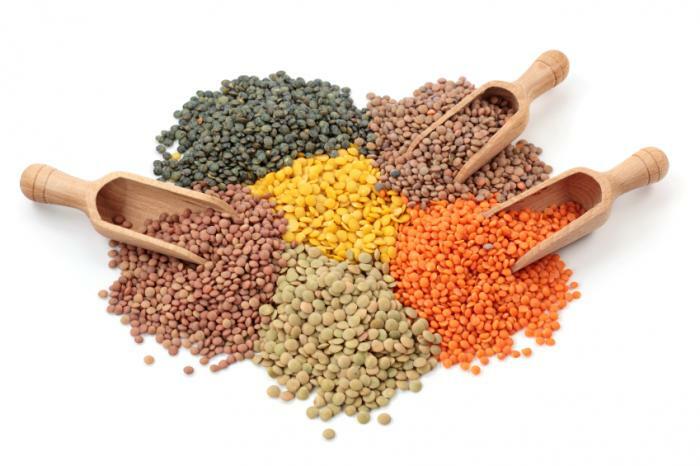 Lentils range widely in size and color from yellow, red- oranges, greens, browns, and black. The most common lentils in my local grocery stores are brown or red. I have unpleasant memories of brown lentils from childhood. My mother has always strived for good health and nutrition, and lentils are a superstar in the world of legumes. Obviously mineral content wasn’t what I was looking for in my food at that time and I was very suspicious of the mushy little beans. I now recognize that they are powerhouses of nutrition and can be prepared in a variety of ways. 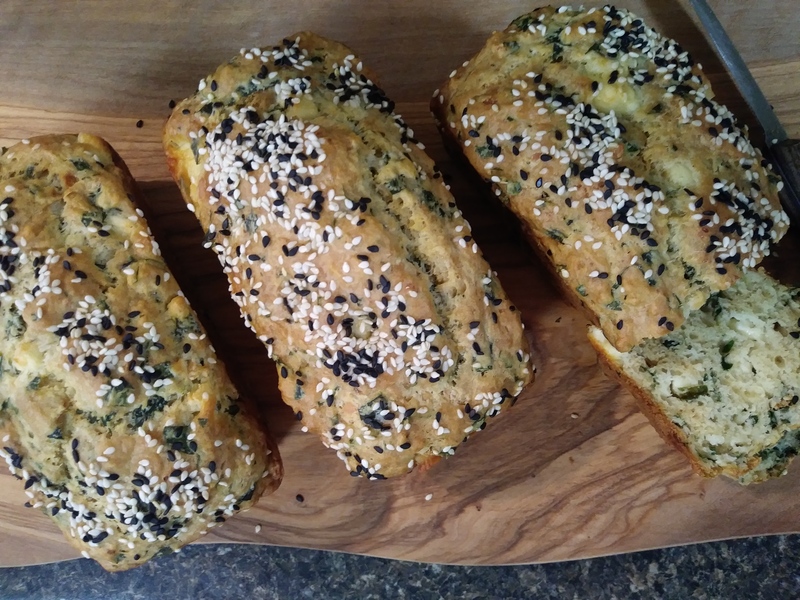 They readily absorb flavors and can be used for soups, stews and salads. Lentils are surprisingly high in folate, iron, magnesium, protein, and fiber. There are two varieties that are less likely to get mushy and therefore good choices for salad. 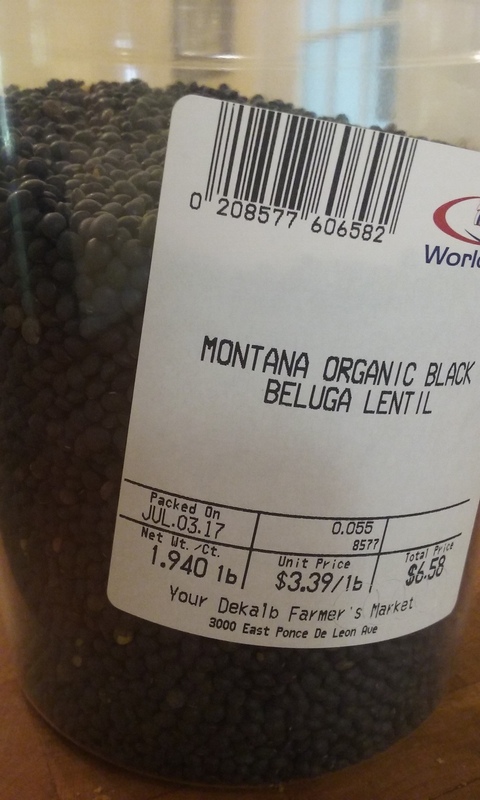 French green lentils (du Puy) and Beluga black lentils are both small and remain firm when cooked. 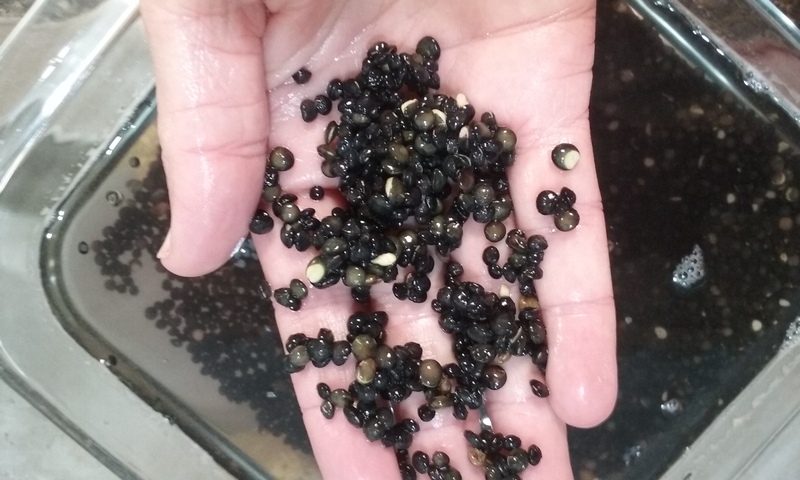 I usually cook with French green lentils and they are pretty good, but I really wanted to try the small black ones named for looking like caviar. 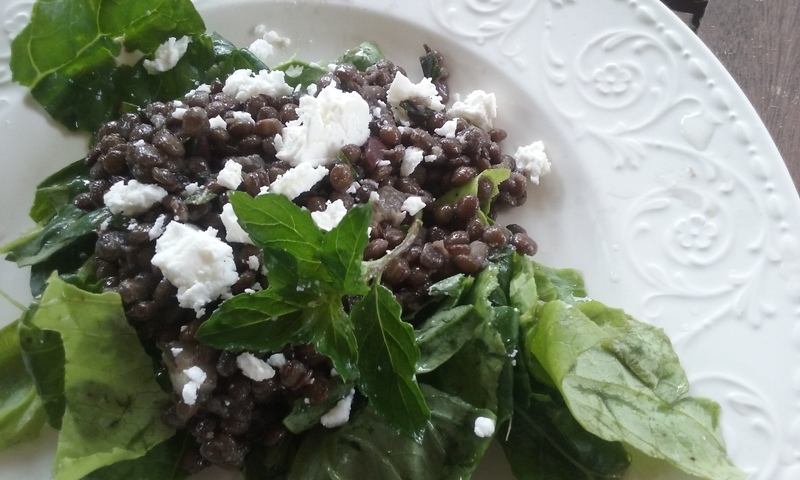 I had a recipe from Jacques Pepin for Beluga Lentil Salad, but was not able to find Belugas until recently. This lentil salad is the best I’ve made. 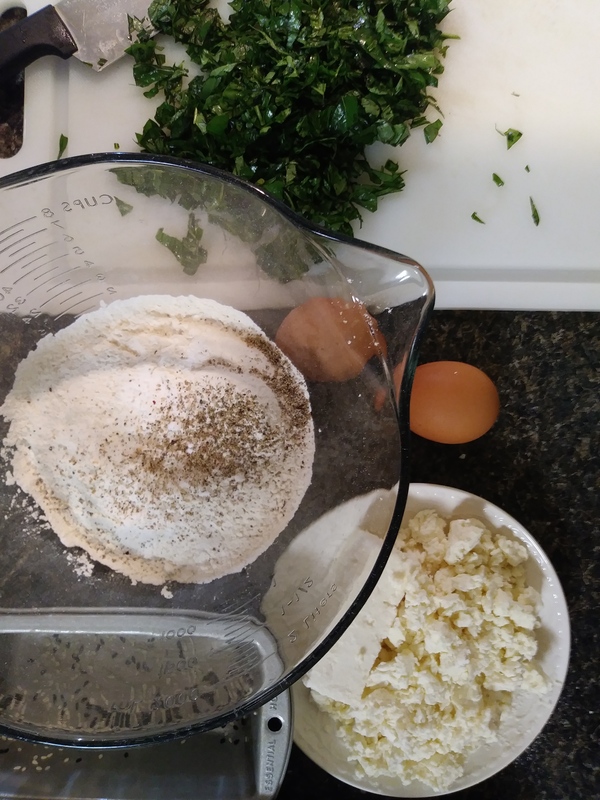 I often leave out the mint in savory recipes even though it grows nearly year round right by my front door. I absolutely loved the mint in this salad. It is light and tasty, but also satisfying and filling; I was really surprised how much I enjoyed it. The recipe and ingredients are simple and easy to keep on hand, so this will be a great lunchbox meal from now on. Begin by sifting through the lentils to check for stones. You probably won’t find any, but this is good policy any time you cook with dry beans. Rinse them under running water. Soak the lentils in 4 cups water and 1 teaspoon salt for 1 hour. Drain and cook in a saucepan with 3 or 4 cups water, 1 whole garlic clove, 1 bay leaf and 1/2 teaspoon salt. 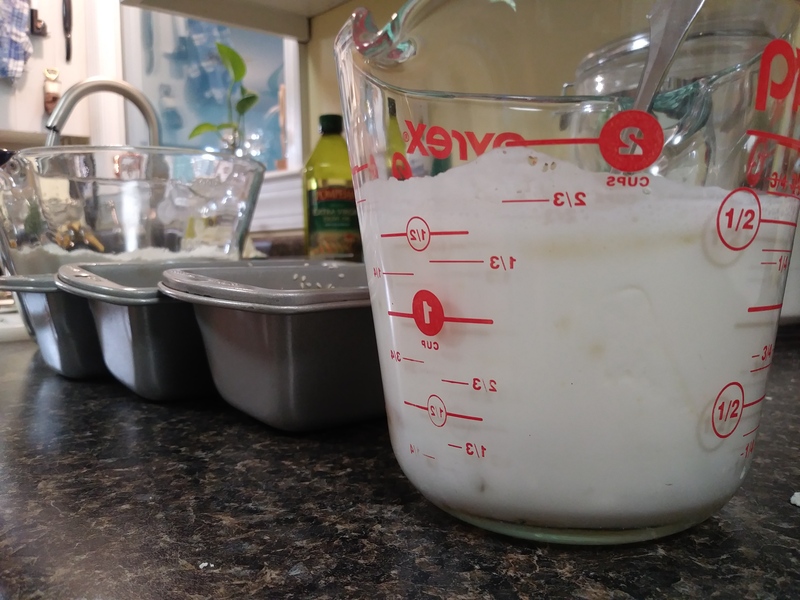 Bring to boil, then reduce heat to simmer for about 20-25 minutes or until desired firmness. 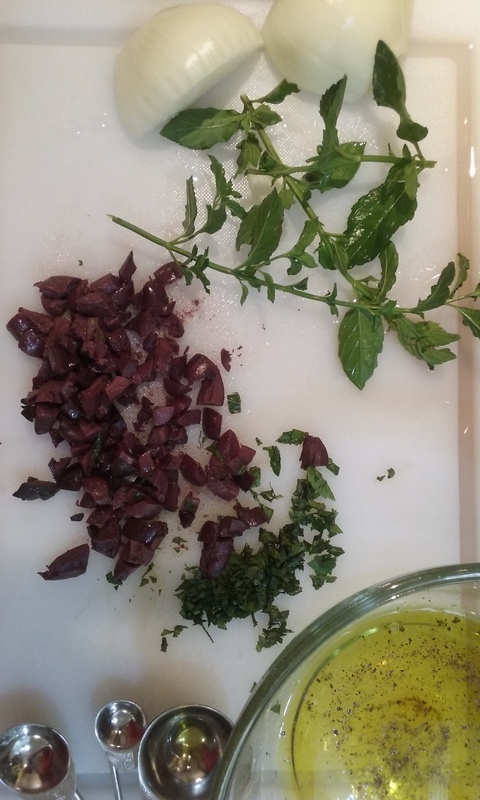 Drain and discard the garlic and bay leaf. For the dressing, combine the olive oil, white wine vinegar, olives, mint and shallot in a bowl with salt and pepper to taste. A great tip when working with raw onions is to chop them, then rinse with cold water to remove some of the sharpness if you don’t want them to overpower the salad. Add the warm lentils and toss to coat. 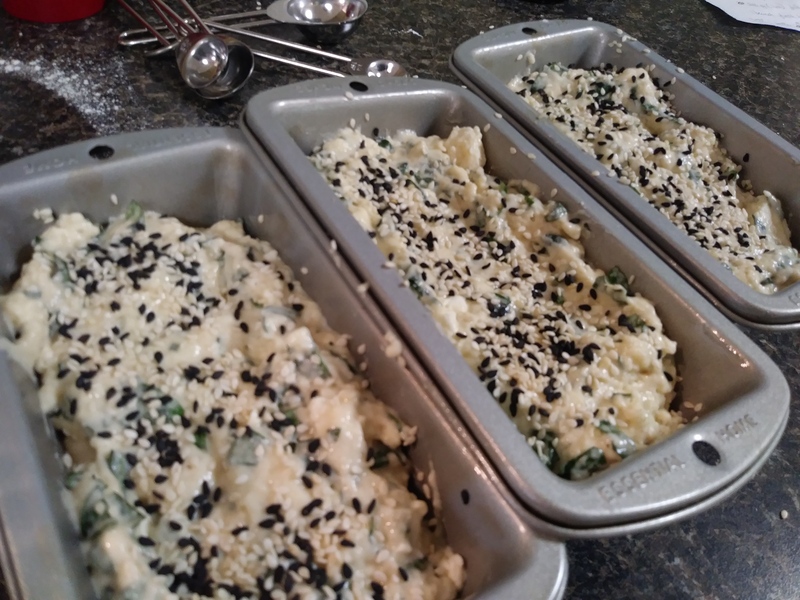 Serve warm or cold, topped with a little feta cheese.